One of the most disputed foods when concerned with healthy living and nutrition is milk. There is so much conflicting evidence out there on whether or not we should drink it, and frankly it really is no surprise why that is. Humans are the only animals on the entire planet that continue to consume milk after they mature through infancy, so it’s not like we can look to other species to see how it affects them. Anyway, this lack of certainty about milk when it comes to our health has brought many alternatives to the market which isn’t too much of a surprise. One of these alternatives is something that you have seen pop in the grocery store, diners, coffee shops, convenience stores and basically anywhere else you can shop. It is something called almond milk, which can provide us with many health benefits, and is obviously derived from the almond nut. What Are the Benefits I’ll See from Drinking Almond Milk? 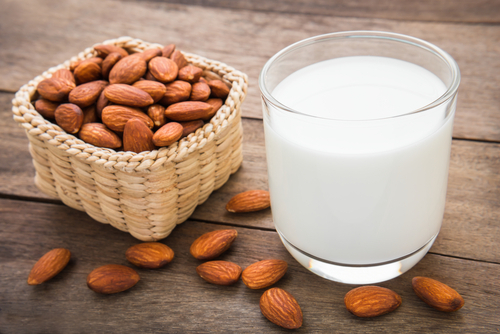 One of the major health reasons why many people are making the switch from cow’s or goat’s milk to almond milk is because it can help them lose weight. Almond milk contains only a fraction of the calories that milk has per serving, which is due to its lower sugar and fat content. Another benefit to drinking low sugar almond milk is that it helps to regulate your blood sugar levels better as well. Maintaining proper blood sugar levels is important in maintaining a healthy weight as well as watching your calorie consumption because of how it affects the way in which we manage our fat. When there is too much sugar in the blood, our body secretes insulin in response to pull some of this sugar out of the blood to better balance these sugar levels. Eventually if your blood is constantly high in sugar, the insulin will become less effective which could lead to diabetes and other serious health problems. One of the main nutrients that our diets in general is vitamin D, as the major source of vitamin D for most people is sunlight. Vitamin D, along with calcium and other minerals are essential in maintaining bone health and can be found in Almond milk. Almond milk also contains certain fats which are believed to help fight and prevent the progression of osteoporosis and helps to strengthen bones. 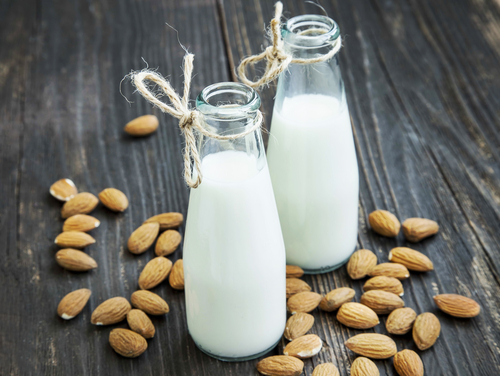 Almond milk is also rich in antioxidants, particularly vitamin E. These antioxidants are important to our health because they bind to free radicals, which are responsible for various health problems most notably cancer. These potentially harmful free radicals come as the result of many biological reactions and processes that take place regularly in the body, making antioxidants and extremely important part of our diets. We just aren’t exposed to free radicals from our diet however, as our environment affects us with these particles as well. Vitamin E will help to fight against these free radicals, while at the same time helps to keep our skin, hair and nails healthy as well. So What Is the Difference Between Almond Milk and Cow’s Milk? The biggest difference between these two as far as your health is concerned is the risk of inflammation. Inflammation has been linked to practically every disease that we are aware of, and something we generally want to avoid. Almond milk, unless you have an allergy to almonds of course has a much lower risk of inducing inflammation that cow’s milk does. This is because many people are allergic to proteins found in milk, the sugars found in milk, or a combination of both. So generally speaking you want to avoid cow’s milk if you can’t fully digest it properly, and not just because of the discomfort that comes as a result, the inflammation can literally be deadly. 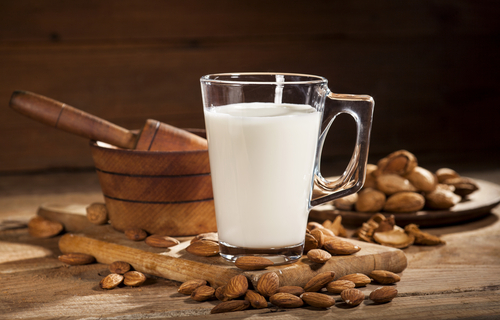 Almond milk can be effective in helping you lose weight, maintain proper blood sugar levels, maintaining bones, and is generally beneficial to our health as a whole. If you still like your cow’s milk and want to continue using it, your best bet is to find a source that is grass fed and doesn’t go through too much pasteurization. Basically, you want to find a product that is as natural as possible, which will give you a lower chance of having an allergic or negative response to the milk.